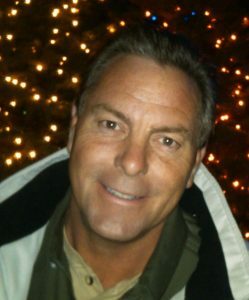 Terry Lloyd Bell, Sr., (57) of Texas City passed away on Thursday, March 21, 2019. He was born April 25, 1961 in Texas City to Alton and Shirley Bell. Terry was a resident of Texas City and a lifetime member of the Houston Livestock Show and Rodeo. He is survived by his parents, son Terry Bell, Jr., two brothers, David Bell and Raymond Bell, special friend Robin Barnard, numerous nieces and nephews and his Beloved Dingo and many lifelong friends. A visitation will be on Sunday, March 24, 2019 from 1:00pm – 3:00pm at the Crowder Funeral Home in La Marque the service will be at 3:00pm with Clifford Johnson officiating. A graveside service will be at the Val Verde Cemetery on Monday, March 25, 2019 at 2:00pm in Holland, Texas. Honorary Pallbearers will be Clayton Clark, Cory Clark, Gary Sharper, Kevin Schirmer, Trevor Bell and Josh Kovacevich. So very sorry for your loss. Terry was a kind soul. Prayers for family and extended family. So sorry the world lost a friendly person. May he rest in peace and prayers to all if this family. The neighborhood will all miss him for sure.